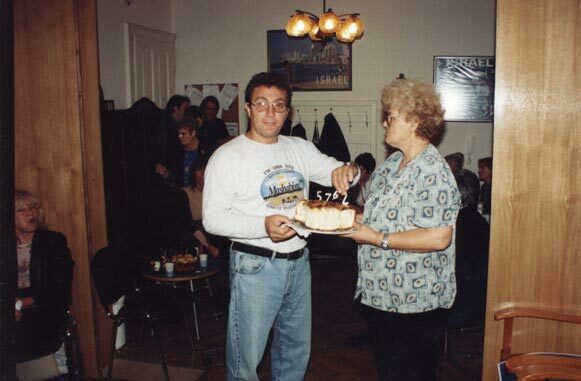 Dejan Čavić, 2004. 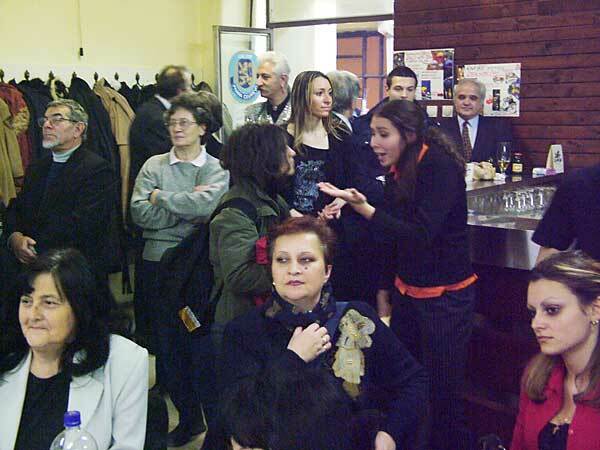 Vice president to Zemun City Community greets guests, 2004. Ballet School "Lujo Davičo" folk dept., 2004. 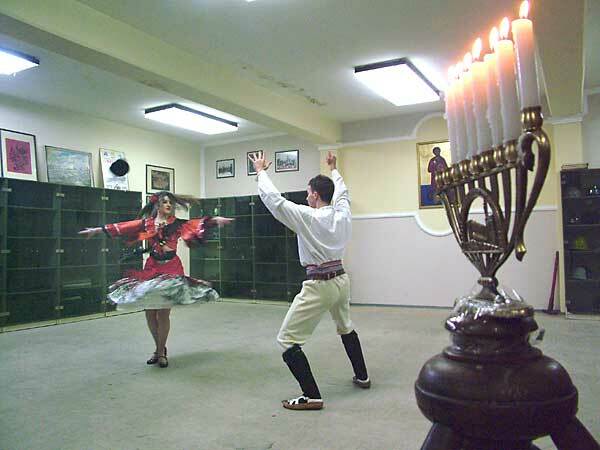 Ballet School "Lujo Davičo" folk dept., 2004. 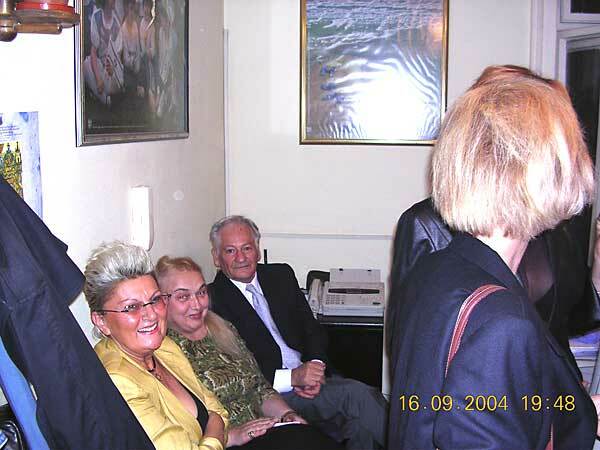 Prof Svetlana Slijepčević, Ballet School ''Lujo Davičo'', 2004 g.
Dancing group ''Nahar haeš'' JC Beograd, 2004. 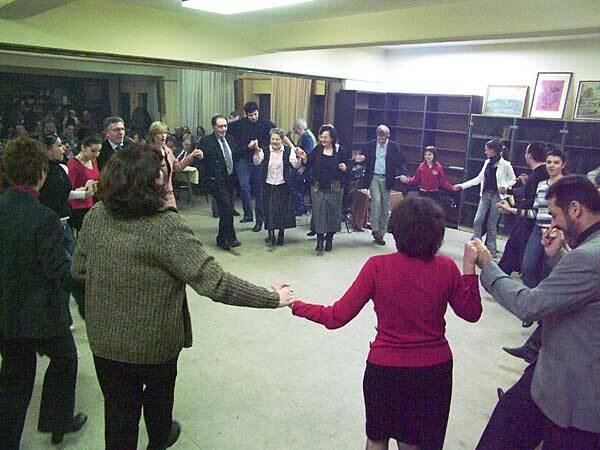 Dancing group ''Nahar haeš'' JC Beograd, 2004. 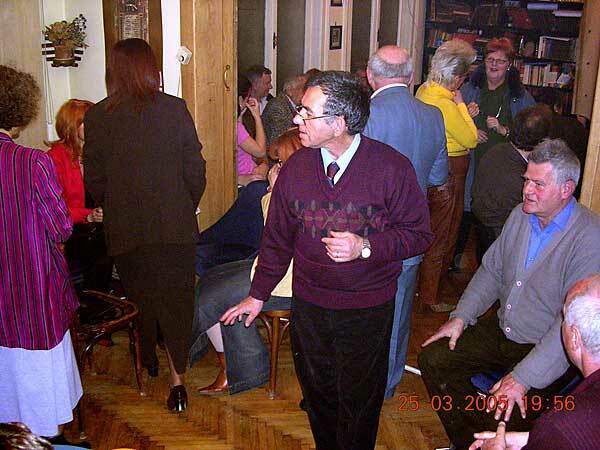 Dancing group ''Nahar haeš'' JC Beograd, 2004. At the end they all danced, 2004. Inevitable dance, 2004. 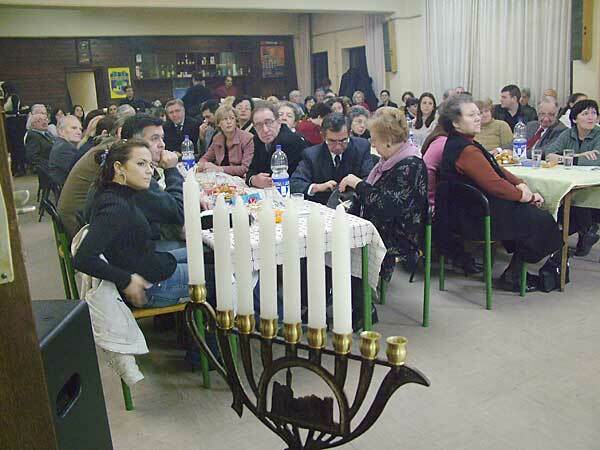 Preparing of candle for lighting 2004. 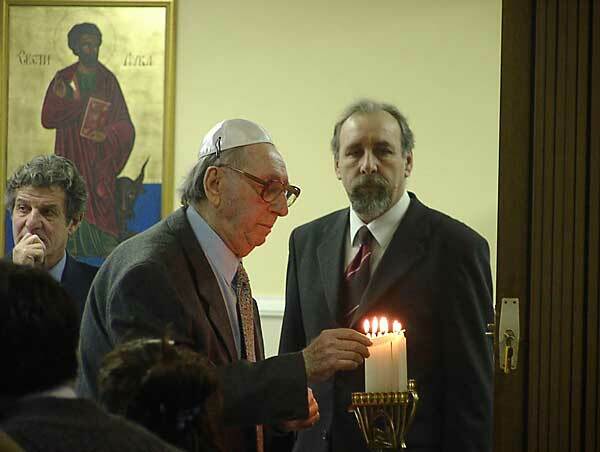 Lighting of candles, 2004. 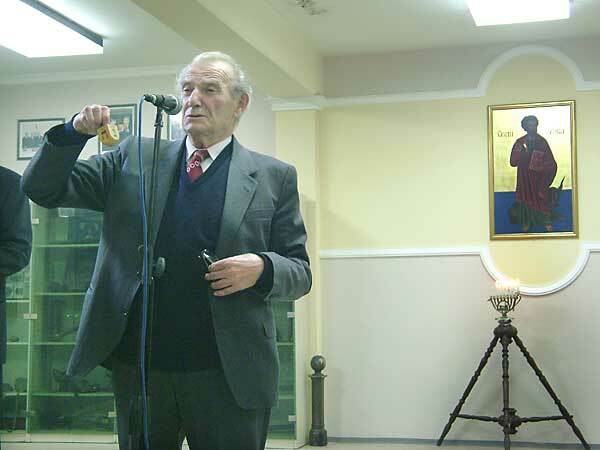 Mr. Aleksandar Greber, 2004. 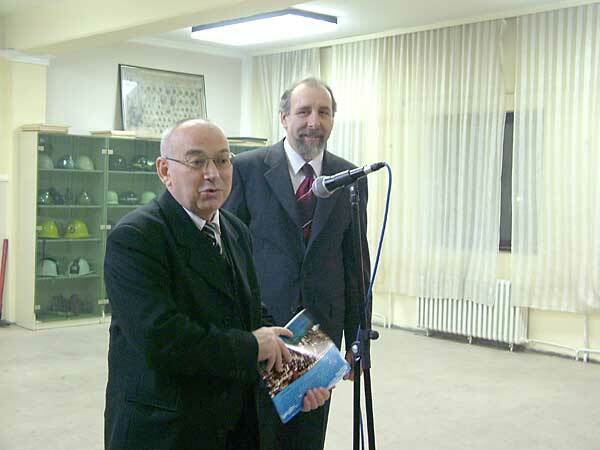 Mr. Robert Đerasi and N. Fogel, 2004. 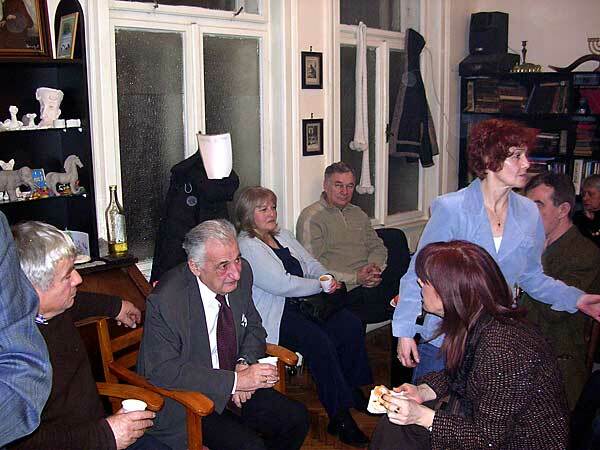 Guests from Pančevo, 2004. 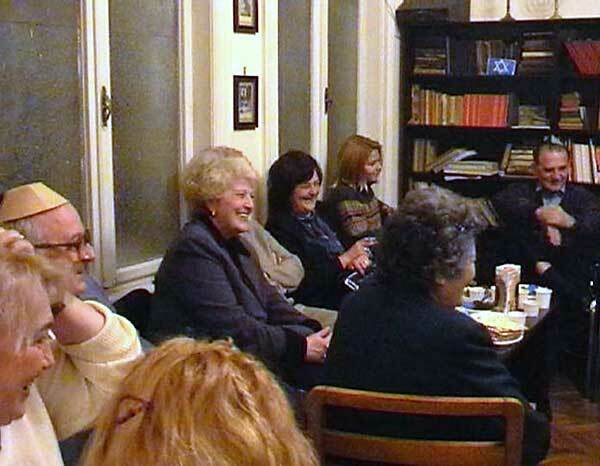 Lika Eskenazi, Bulgaria, 2004. 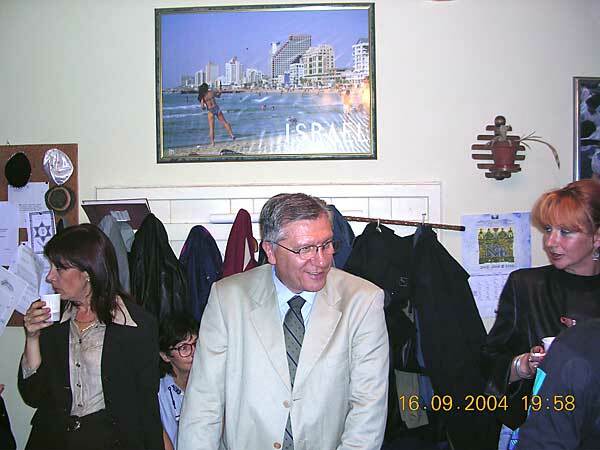 Etien Levi, Bulgaria, 2004. 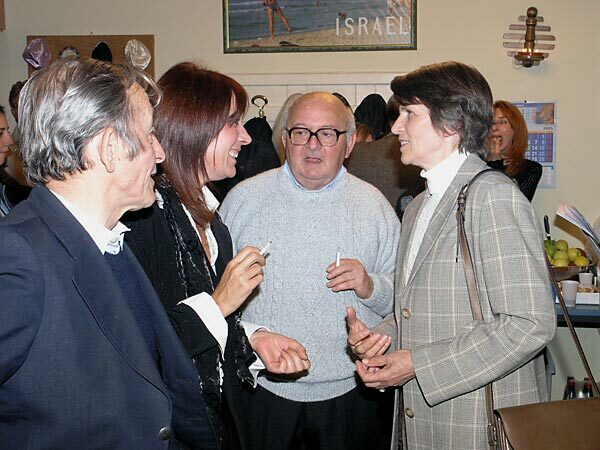 Guests, 2004. 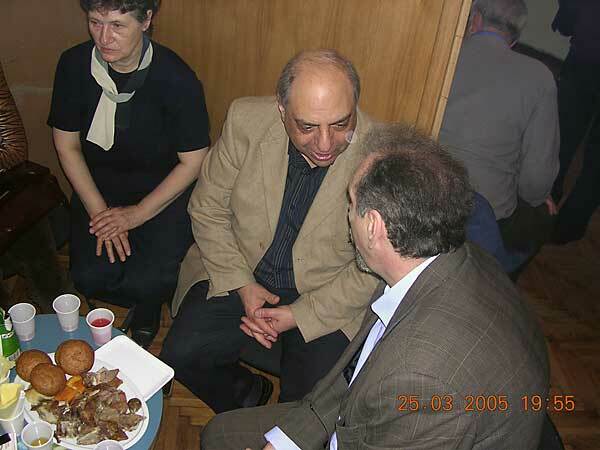 Etien Levi & Lika Eskenazi, Bulgaria, 2004. 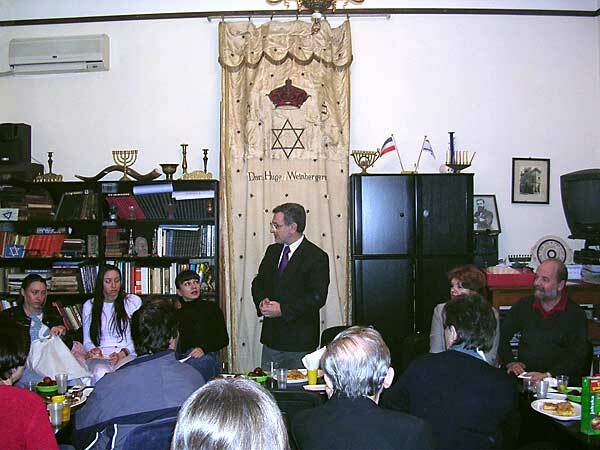 The first Seder night after World War 2 in JOZ, 2002. 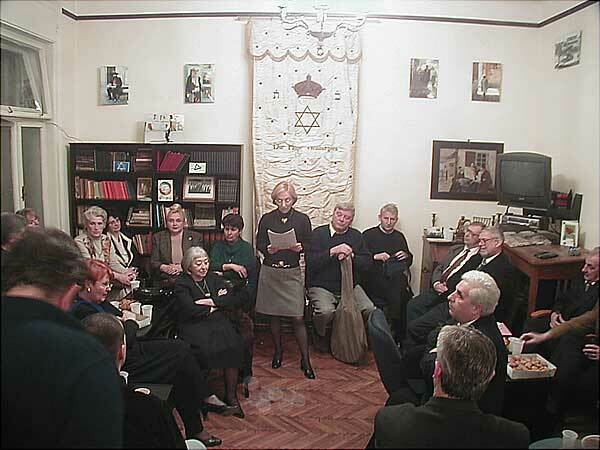 The first Seder night after World War 2 in JOZ, 2002. 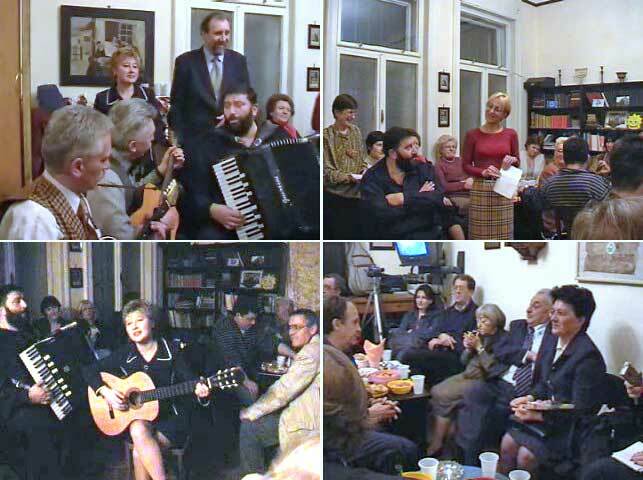 Pesah celebration, 2002. 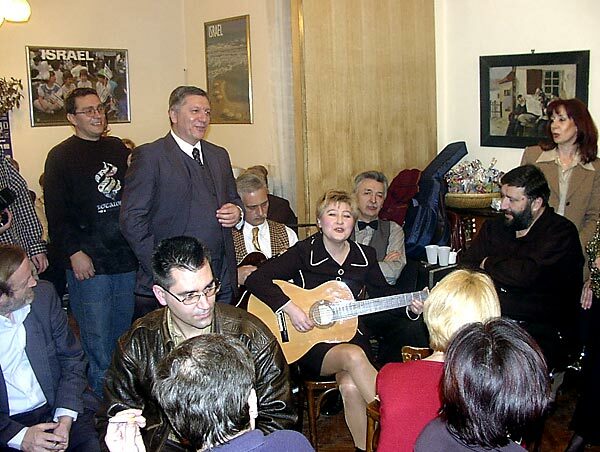 Pesah celebration, 2002. 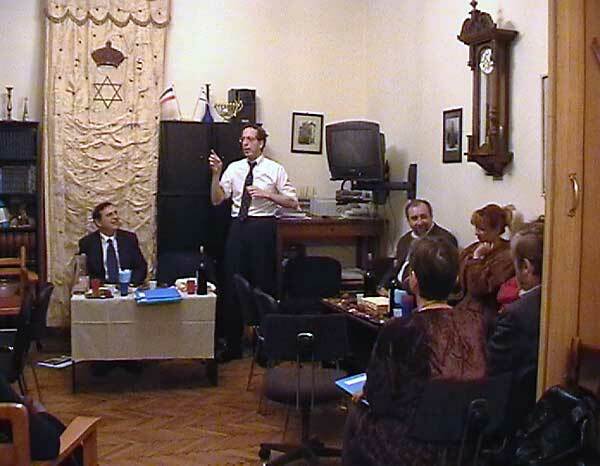 P.Lipman on Seder night in JOZ, 2003.
in JOZ, 2003 Ljuba Mladenović on Pesah celebration, 2005. 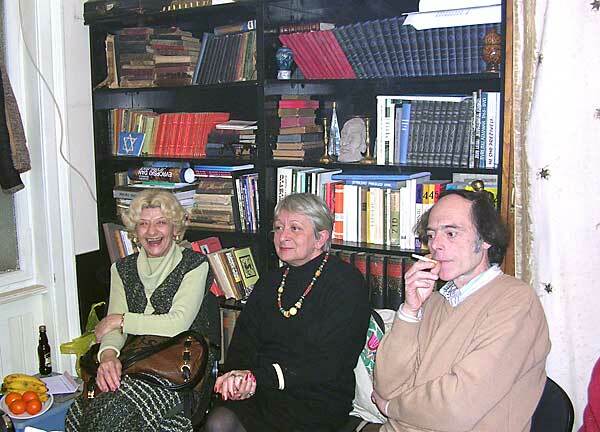 Pesah, 2005. 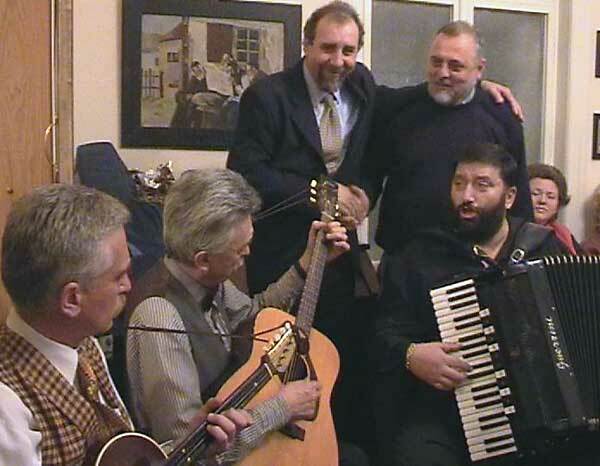 Members of JOZ on Pesah, 2005. 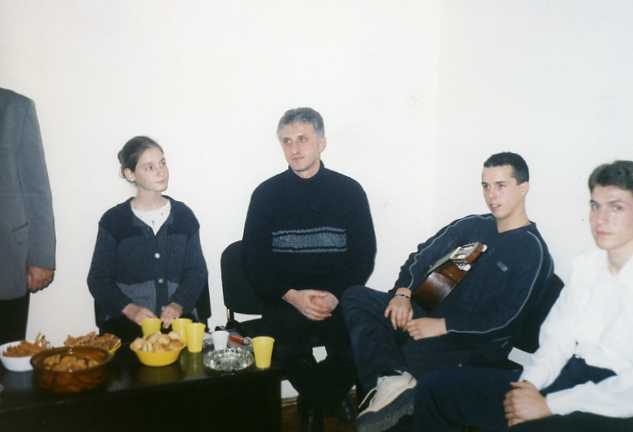 Prof. Boško Radojković with students, 2000. 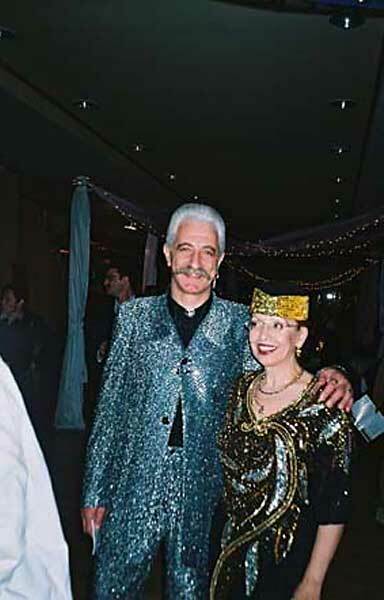 Secretary to Federation with his wife on Purim celebration, 2000. 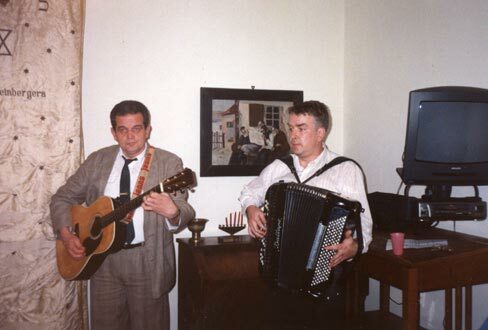 Nenad Rakić and Željko Simović on Purim celebration, 2000. 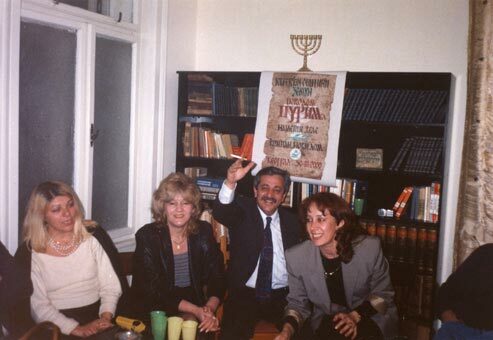 Vanja Rus and his friends on Purim celebration, 2001. 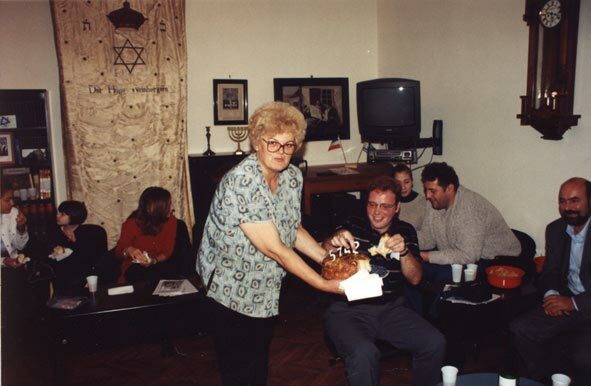 Purim celebration 2001. 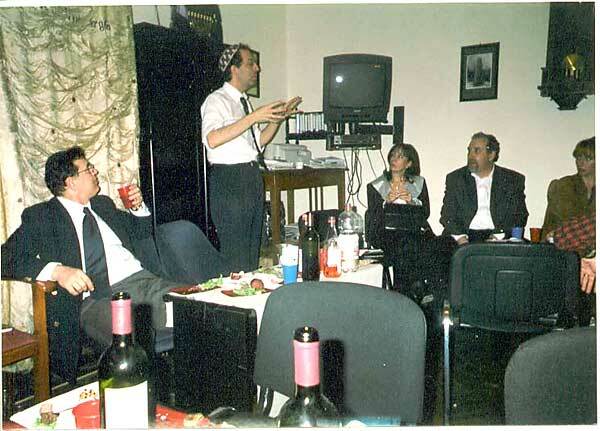 Purim celebration 2002. 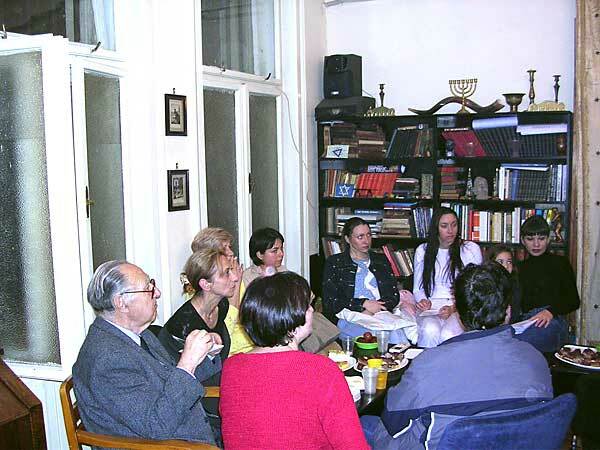 Purim celebration 2002. 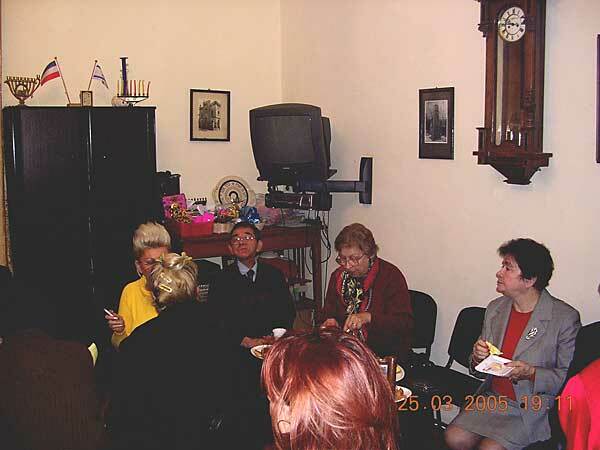 Purim celebration 2002. 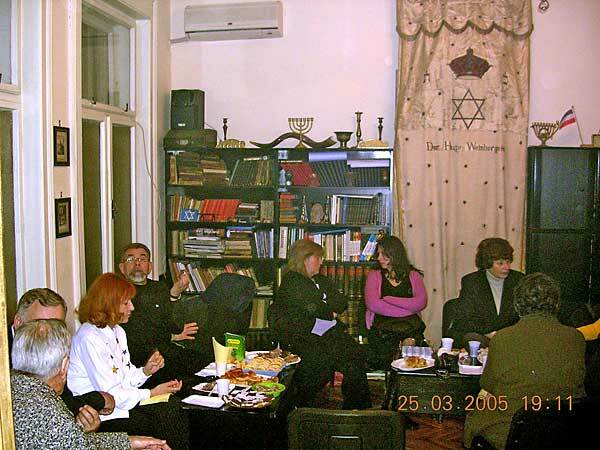 Purim, 2005. 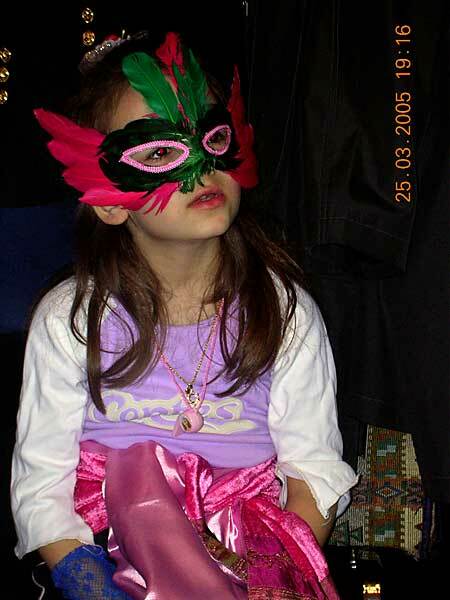 Purim, the best mask, 2005. 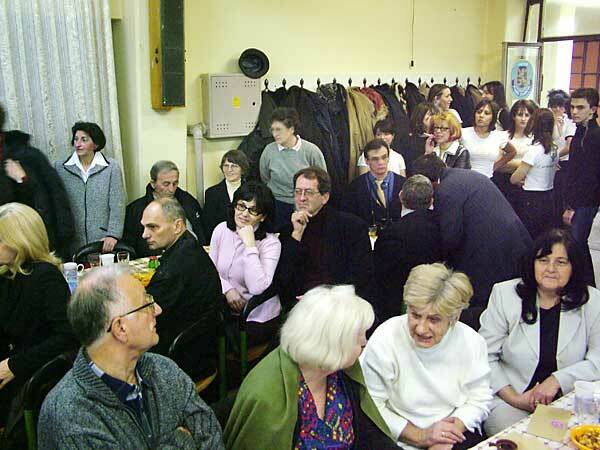 Purim, Robert Djerasi 2005. 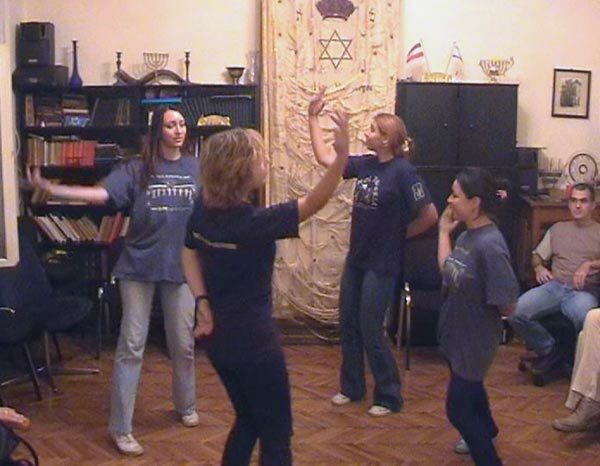 Purim, the youth, 2005. 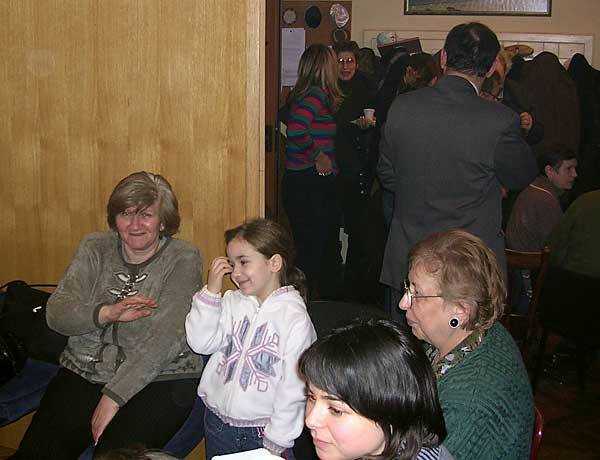 Celebration of Purim, 2005. 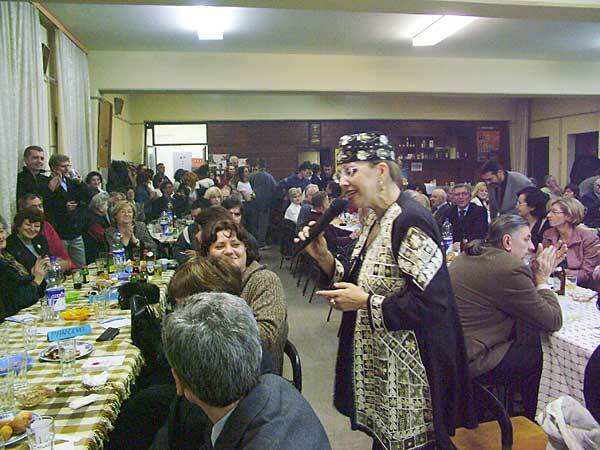 Celebration of Purim, 2005. 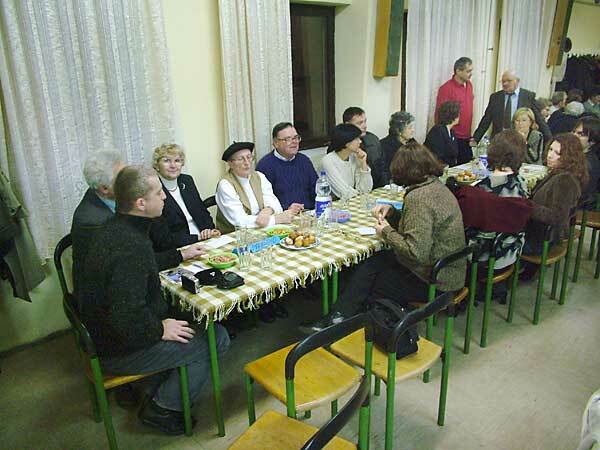 Celebration of Parim, 2005. 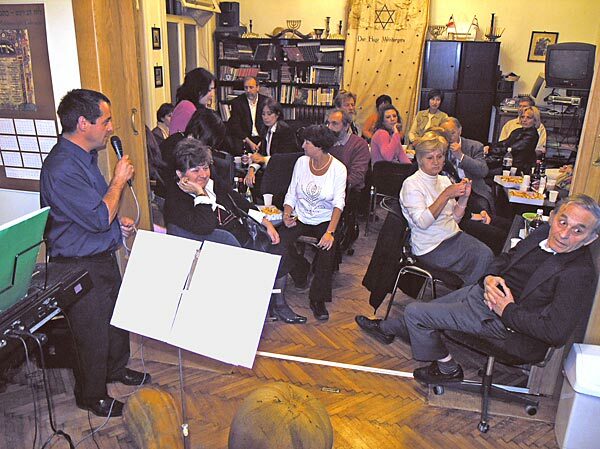 Celebration of Purim, 2005. 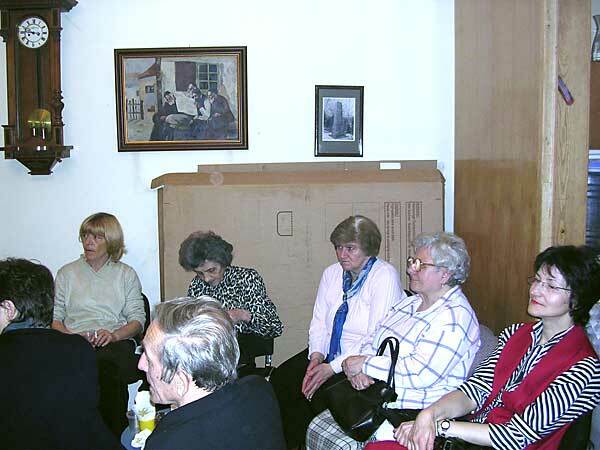 Celebration of Rosh Hashana 5761. Rosh Hashana 5762. Rosh Hashana 5762. Rosh Hashana 5762. Avram Izrael on celebration of Rosh Hashana 5765. 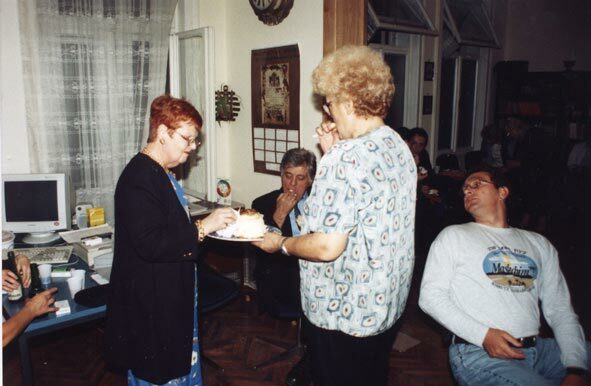 Snežana, Dragana i Avram, Rosh Hashana 5765. 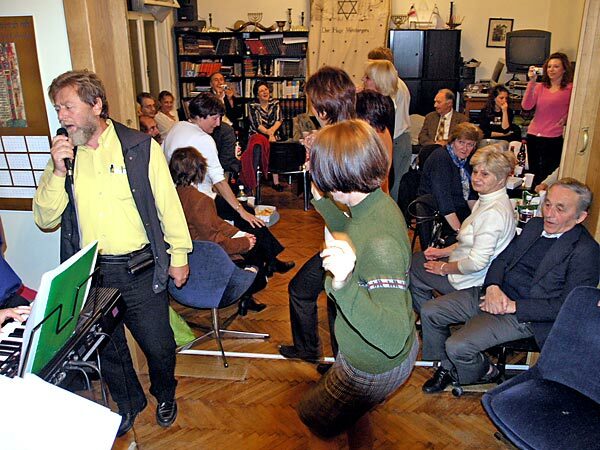 Dancing group at Rosh Hashana 5765. Rosh Hashana 5765. Zdenko Levi from Kikinda, 5766. 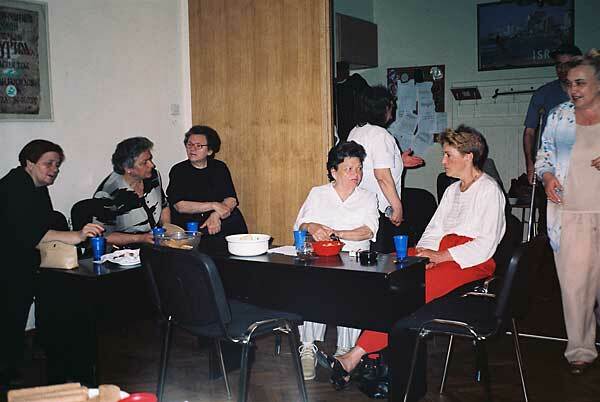 Mikan, Slađana, Rihard and Vera, 5766. 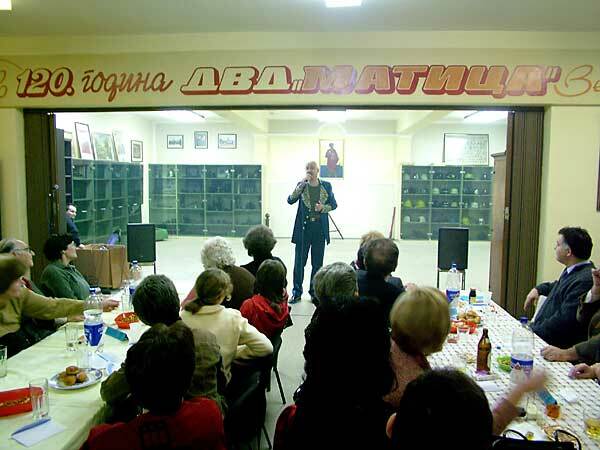 David Montijas entertaining guests, 5766. 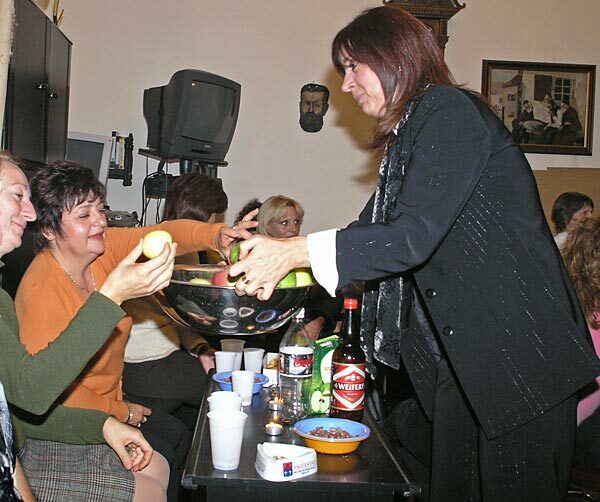 Slađana delivering inevitable apples, 5766. 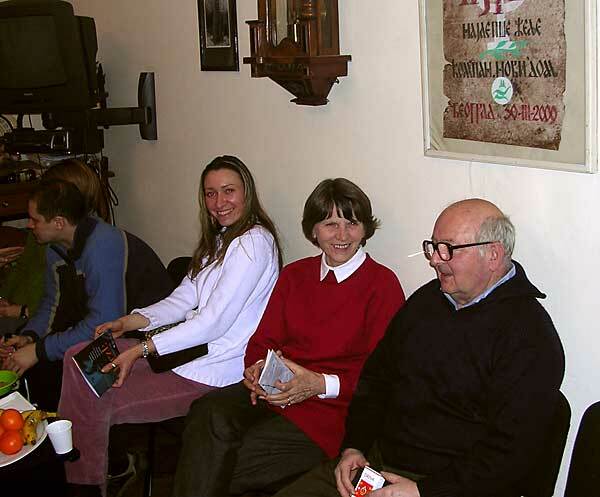 Celebration of "New Year of Trees", 2004. 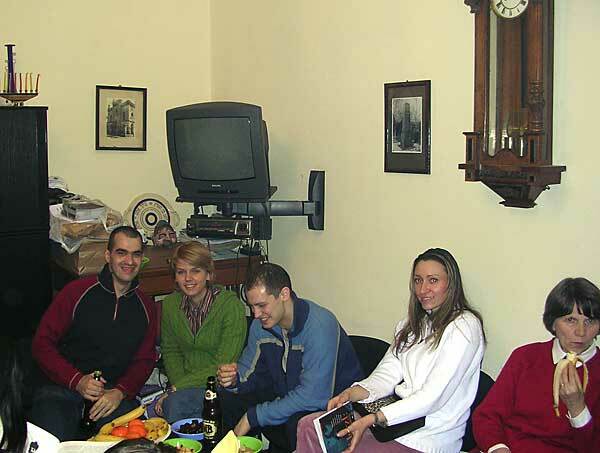 Celebration of "New Year of Trees", 2004. 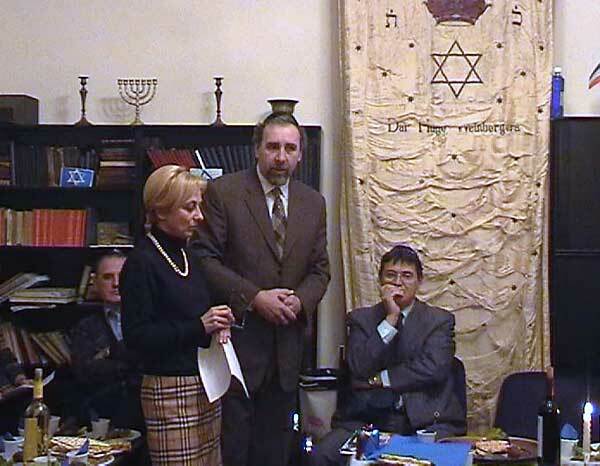 TuBishvat, 2004. 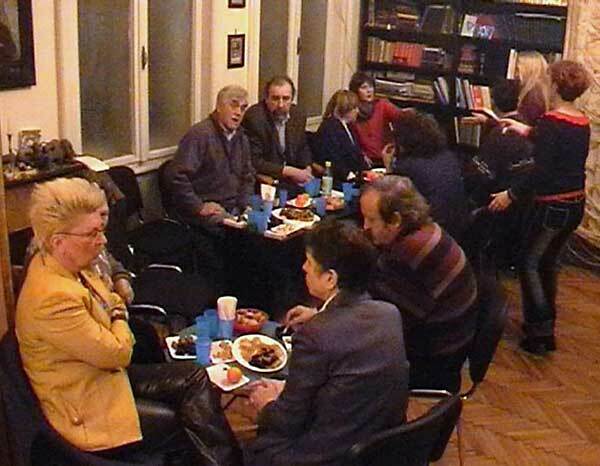 TuBishvat 2005., guests from Zemun TuBishvat 2005. 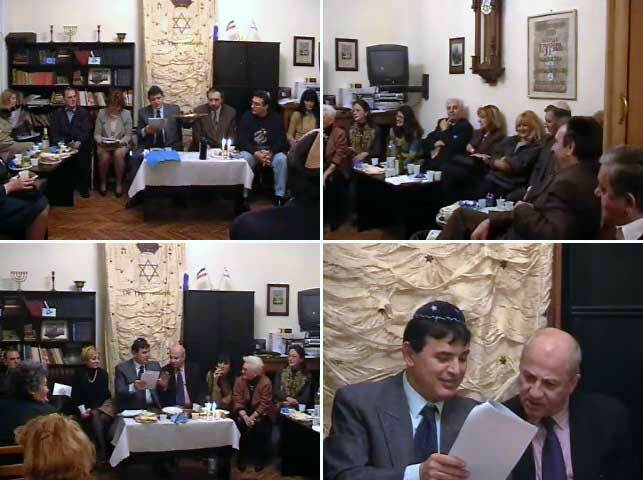 TuBishvat 2005. 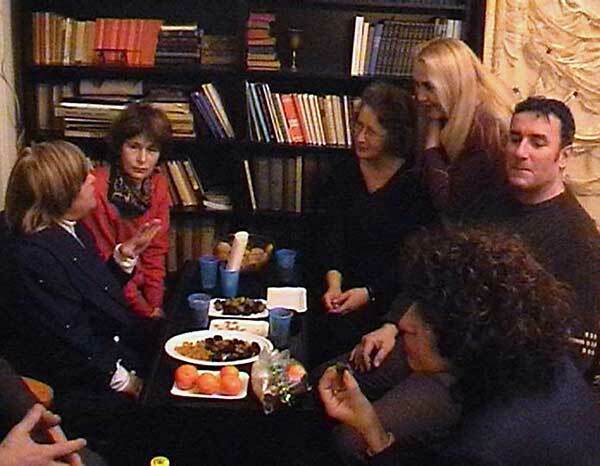 TuBishvat 2005. 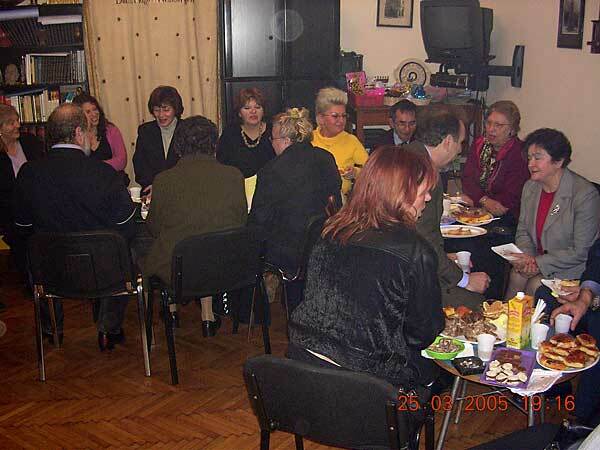 TuBishvat 2005. 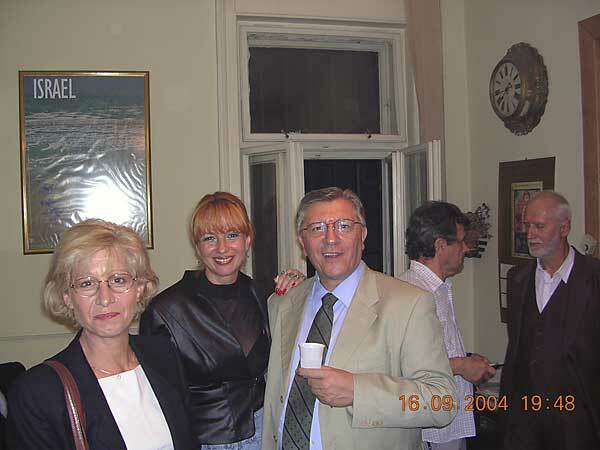 Dr Vladan Janićijević. 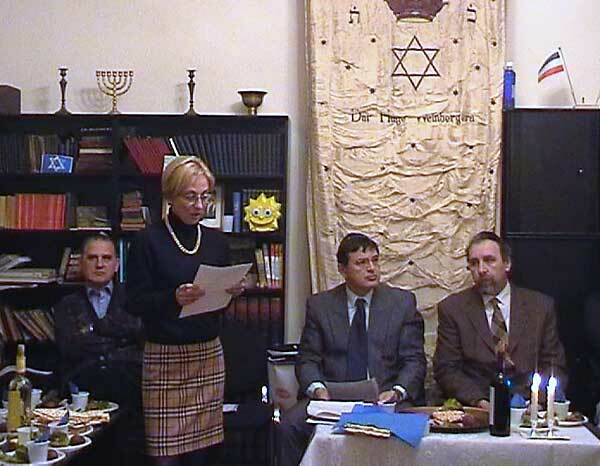 Tubishvat, 2005. 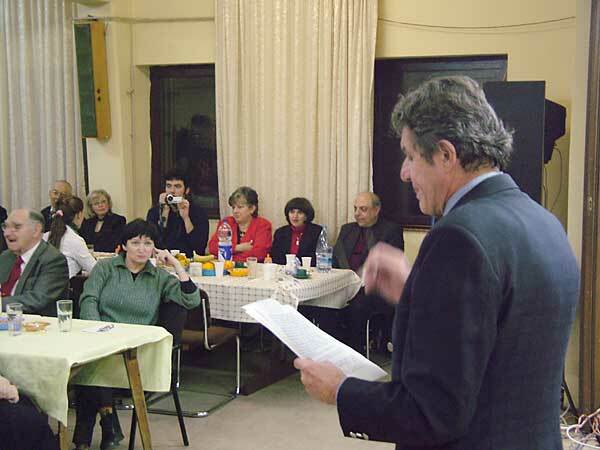 Secretary to the Federation Davor Salom on celebration of TuBishvat, 2005.